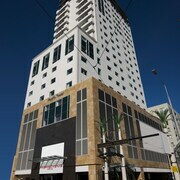 Located in Christchurch City Centre, this hotel is within a 15-minute walk of Re:START Mall and Christchurch Casino. Christchurch Public Hospital and Hagley Park are also within 1 mi (2 km). 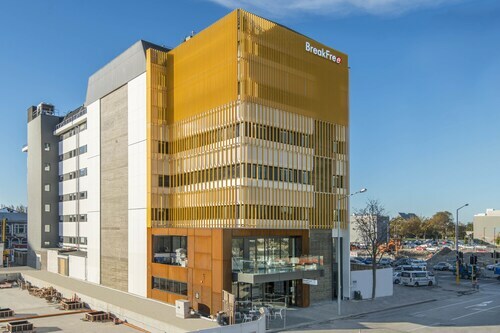 Located in Christchurch City Centre, this luxury hotel is within a 10-minute walk of New Regent Street and Christchurch Casino. Christchurch Public Hospital and Hagley Park are also within 1 mi (2 km). 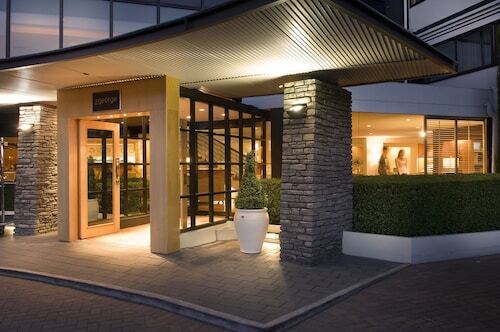 Located in Burnside, this luxury hotel is within 1 mi (2 km) of Russley Golf Club and International Antarctic Centre. University of Canterbury is 2.6 mi (4.2 km) away. 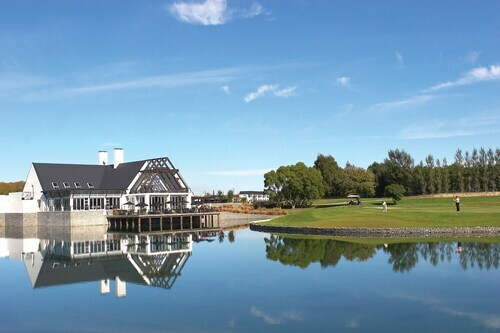 Located in Riccarton, this golf hotel is within 1 mi (2 km) of Riccarton House, Hagley Park, and Christchurch Public Hospital. Christchurch Casino and AMI Stadium are also within 2 mi (3 km). Christchurch Railway Station is 28 minutes by foot. 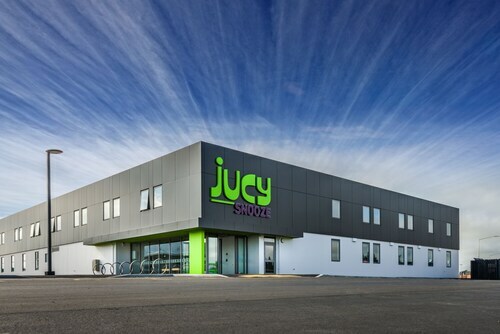 Situated in Christchurch, this hostel is within 1 mi (2 km) of Russley Golf Club and International Antarctic Centre. Omarino Wine Park and Jellie Park Recreation and Sport Centre are also within 3 mi (5 km). 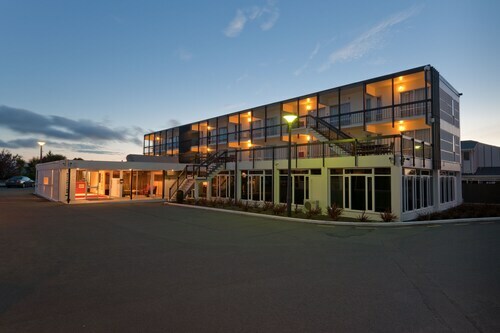 This family-friendly Christchurch motel is located near the airport, within a 10-minute walk of Bealey Avenue and Christchurch Casino. Hagley Park and Christchurch Public Hospital are also within 2 mi (3 km). 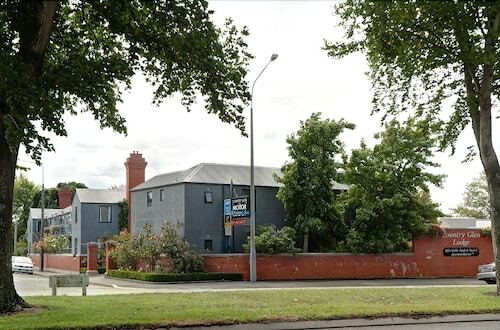 Located in Christchurch City Centre, this hostel is within 1 mi (2 km) of Bealey Avenue and Christchurch Casino. Hagley Park and Christchurch Public Hospital are also within 3 mi (5 km). 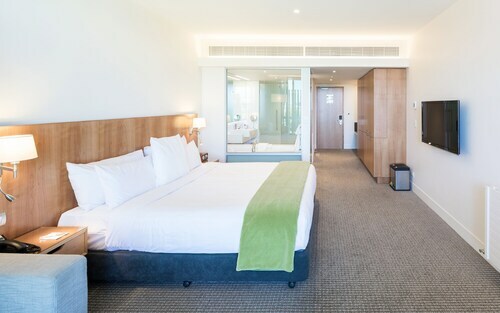 Located in Christchurch City Centre, this luxury hotel is within a 10-minute walk of Christchurch Casino, Canterbury Museum, and Christ's College. Punting on the Avon and Christchurch Botanic Gardens are also within 15 minutes. Located in Christchurch City Centre, this luxury hotel is within a 10-minute walk of Cathedral Square and Christchurch Casino. Christchurch Public Hospital and Hagley Park are also within 1 mi (2 km). Imagine travelling to New Zealand’s South Island and taking in the view of Christchurch and the South Pacific from the summit of the Port Hills. Actually, stop imagining it and start planning it—and make sure going for a gondola ride, a punt boat cruise, and a day at the Antarctic centre are on your list of must-dos. Ready? Let’s go! Wotif’s Christchurch travel guide will be your travel companion the whole way. How do I get to Christchurch from the airport? 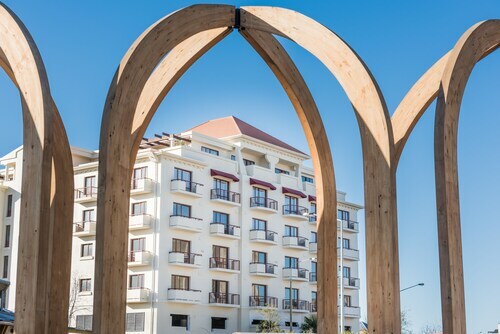 When your flight lands at Christchurch International Airport (CHC), you’ll only be 11km away from the city centre and many of our Christchurch hotels. Hop on the purple route bus that will take you straight from the terminal downtown…or you could just take a taxi. If you feel like driving yourself, book car hire and be on your way. What are the most popular hotels in Christchurch? What kind of hotels are in Christchurch? Since this is the largest city on the South Island, you won’t have a problem finding a suitable Christchurch accommodation. Everything from luxury resorts to budget motels and serviced apartment hotels are waiting for you to bunk in them. 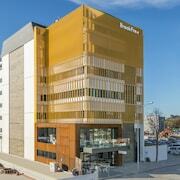 The 4.5-star Rydges Latimer Christchurch is more than a few rungs up on the luxury ladder. 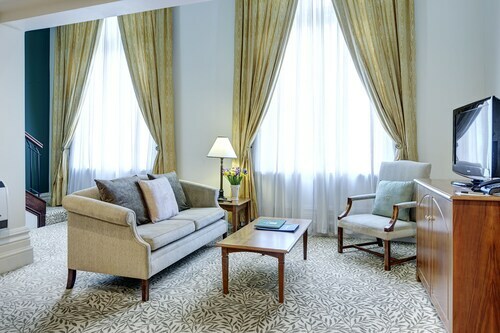 The rooms come with stocked minibars, complimentary laundry service, a spa and wellness centre, and a 24-hour concierge. If you’re looking for accommodation in Christchurch that feels like home, check out the Quest Christchurch Serviced Apartments. You can get studios or go all the way up to three-bedroom executive apartments. Where should I stay in Christchurch? 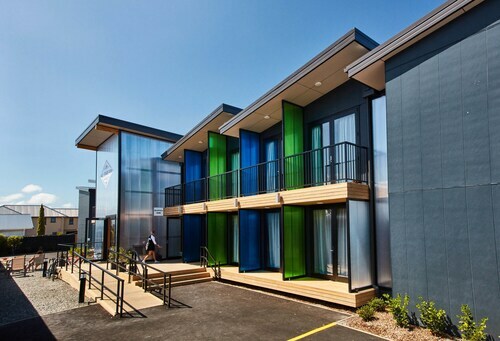 The Sudima Hotel Christchurch Airport is perfect if you’re only in town for a night or two. 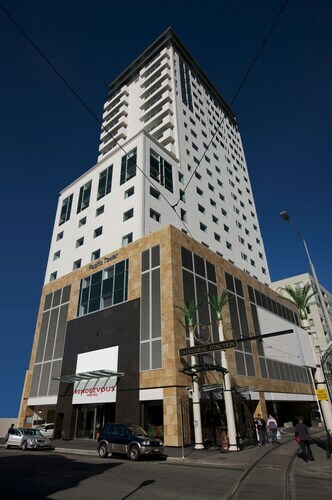 Located within walking distance of CHC, this place is great for making a speedy getaway. Looking to stay in the downtown district? 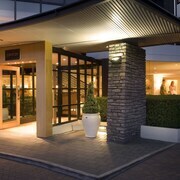 Look no further than the Novotel Hotel Christchurch in Cathedral Square. The Christchurch Tramway is across the street, so go for a nice tour and check out the city from the comfortable seats of an old-timey tram. From your room at the Argyle on the Park, you can head down Riccarton Avenue until you come to the Christchurch Botanic Gardens. A splendid day in nature awaits. What are some fun things to do in Christchurch? Get away from your Christchurch hotel for a while and see what’s going on in this city. Believe us, there’s more than enough to keep you entertained during your holiday. Punting on the Avon: No, you won’t be booting footballs across a river, but you will be cruising down the Avon River in an old wooden boat. The tours leave from the Antigua Boatsheds and fill up fast, so don’t miss your chance. Christchurch Gondola: Pretend you’re a gull soaring above the countryside when you go for a thrilling ride in one of the glass cable cars to the summit of the Port Hills. Be sure to enjoy lunch in the restaurant at the top—a meal with a view isn’t too bad. International Antarctic Centre: It’s time to learn everything you can about the Antarctic at this tourist attraction. Enjoy a penguin encounter and get up close and personal with these funny, flightless birds. You can take a trip to New Zealand’s South Island whenever you want, but we think the time to go is now. 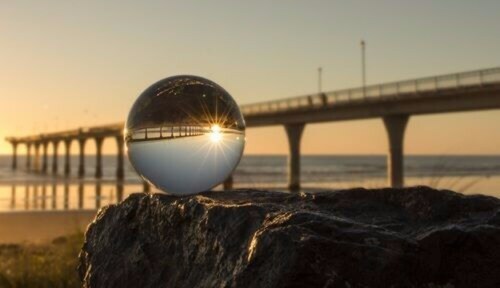 With Wotif, you’ll have an unforgettable Christchurch holiday. You’ll also be able to book an amazing Great Ocean Road accommodation, so when you’re ready to explore the most scenic coastal adventure on the planet, you’ll have a place to sleep. Enjoy! Need insider tips on must-see attractions in Christchurch? Check out our Christchurch travel guide! How Much is a Hotel Room in Christchurch? 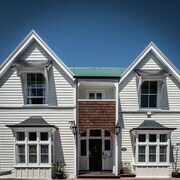 Hotels in Christchurch start at AU$60 per night. Prices and availability subject to change. Additional terms may apply. We stayed in the 2 bedroom suite and it was lovely. Very spacious, nice views from the balcony. Although the hotel is in the CBD, it's a little walk from the main areas that you would visit but you get to walk through some iconic sites as you make your way through. Was good for a one night stay. Only one rubbish bin for the room/kitchen and bathroom. Had to fill the jug in the bathroom. Overall happy and would stay again.